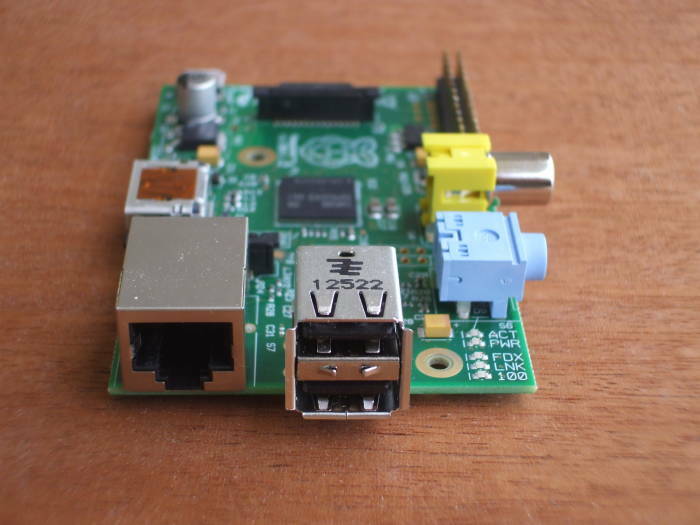 The Raspberry Pi is an extremely low-cost yet highly capable Linux platform. It can be a very nice platform for a small network appliance. Network-Attached Storage or NAS is a data storage appliance. One possible applications includes backup. Simply copy the files to the network drive. Another application is file sharing. Several hosts could share the one collection of data. This could be a media server, a small Linux-powered box hosting your music and movies. It is easy to confuse NAS with SAN, but a Storage Area Network is an entirely different approach to networked data storage. A SAN includes a high-speed switch fabric or interconnected mesh, with multiple hosts sharing storage distributed across multiple storage devices. Unless all hosts access the data in read-only mode, their operating systems need to do file locking and access arbitration. While my examples and screen shots are from a Raspberry Pi, this page explains how to build and use NAS on any Linux platform. Use a disk drive with adequate storage capacity. If you're starting with a bare drive, get the appropriate PATA-to-USB or SATA-to-USB adaptor. If you are using a small external drive that came in its own enclosure, the USB interface will be built in. You will not be able to power the drive through the Raspberry Pi USB interface. Either use a powered USB hub, or attach a self-powered drive. The below kernel messages are captured by Syslog on the Raspberry Pi when I attach my drive. We see that Super Top manufactured the PATA-to-USB interface, and assigned it a serial number in some non-ASCII character set. The disk itself is a Maxtor TM3500630A, a 500 GB (or 465 GiB) PATA drive. The Raspberry Pi's file system is on a "disk" that isn't really a disk, it's a flash RAM card that appears as device /dev/mmcblk0 with partitions mmcblk0p1 and mmcblk0p2. This new disk is the first truly disk-like device seen by the kernel, so it is named /dev/sda. IC3, located just behind the USB connector, is the SMSC95xx / LAN9512 combined USB and Ethernet controller. So, the SMSC (or Standard MicroSystems Corporation) device at position #2 is the USB hub, while the one at position #3 is the 802.3 Ethernet interface. I have an ASUSTek 802.11n wireless LAN device plugged in at position #4. Finally, there is the USB-IDE interface at position #5. Let's see what disk devices appear, and what's left over from its previous use. Now let's use parted to create a GUID disk label and set up a modern partition layout. The GUID disk label is sometimes called a GUID partition table, hence "gpt" here. The partition will start at cylinder 1 to leave cylinder 0 for the disk label itself, and it will continue through "-0" which means "all the way to the end". Now let's create an Ext4 file system in that partition. I will go ahead and label it as /export1 so the mount can be specified by label instead of device name. Let's say I later set up a second disk to use at the same time as /export2. The Raspberry Pi has just two USB ports, so I would have to remove either the wireless LAN device or the first disk and attach a USB hub. Once I get things reconnected, who knows which of the two disks the kernel will think is the first one. I don't have to worry about this at all as long as I put labels in the file systems and they are mounted by label rather than device name. These are four collections of symbolic links, all of them pointing to the /dev/sd* and /dev/mmcblk* devices. The by-id directory has some form of manufacturer, model and serial number. The non-ASCII serial number of the Super Top interface give it an awkward and vague string instead of a unique number. There is an alternative by-id name for everything: the entire memory card and its two partitions, and the entire disk and its one partition. The by-label directory has just one entry. I put a label in the file system I created but the Raspbian distribution doesn't label its root file system. The by-path directory is where you would see the full PCI bus — controller — disk chain on a typical system. Here we see the USB bus — port — device chain. Finally, there are UUIDs in the by-uuid directory. You will see that some of the devices seem to have been detected in the second just before the Unix epoch began at 00:00:00 01 January 1970. There is no hardware clock on the Raspberry Pi, so its system clock always starts back at the beginning of the epoch. Once it gets up and can contact a time reference over the NTP protocol, it jumps the system clock to the real time. Let's tell the system where it should find and connect this new file system. We do this in /etc/fstab. The "0" needs to be there, some number needs to be there, but you surely aren't still using dump and restore so the 5th column will be ignored. The "2" means "Run fsck on this file system, but it's not the root file system so do it later." We need to add the NFS server software. The rpcbind service needs to be started before the NFS server is started. By default, it doesn't run at all. Let's try to add rpcbind as a running service, started when its authors say it should be started. Raspbian and Ubuntu are derived from Debian, and so we use update-rc.d instead of chkconfig as we would for most other distributions. overrides LSB defaults (2 3 4 5 S). `rpcbind' overrides LSB defaults (0 1 6). It worked that time! Now let's add nfs-kernel-server. Notice that the ordering is handled, the RPC port mapper starts as S12, and then the NFS server can start as S14. It's the reverse at shutdown or reboot, with NFS service stopping as K01 and the RPC port mapper stopping later as K05. We define what we want to share, with which hosts or lists or blocks of IP addresses, in what modes, in /etc/exports. Let's manually start the port mapper and the NFS server in the proper order. Those error messages are troubling. But they happen only because the NFS server was expecting both IPv4 and IPv6 networking to be configured, while the Raspberry Pi runs only IPv4 by default. It's easy to configure IPv6, see the networking page for all the details. If we just load the IPv6 module, the kernel will automatically configure a link-local IPv6 address for each interface. Let's go to another machine and test a number of things with one command — can we contact the RPC port mapper, does the port mapper know about the NFS server, and is the NFS server ready to serve something? Then with a second command, has anything mounted any of the shared file systems? Now let's set up automounting on the clients! The following is all done on a client, not on the Raspberry Pi itself but on a client that will use the Raspberry Pi as a network storage appliance. You can do this in a variety of ways. I am going to set this up so that /backup will magically appear and be connected to the network storage whenever anyone references that part of the file system. If the NFS volume isn't currently mounted, there will be no /backup. But as soon as it is referenced, the client will automatically mount it and keep it mounted as long as it is used at least every so often. To accomplish my goal, I just add one line to /etc/autofs/auto.master and then I create a small file defining that automatically mounted NFS file system. Now let's (re)start the automounter service and see what we get. If it wasn't already running, it fails to stop the non-existent service but that's nothing to worry about. I have already copied a hierarchy of directories and files over to the Raspberry Pi's disk. The mount command can show us further details. We could tune the automounter by setting variables in /etc/sysconfig/autofs or by specifying options for individual file systems in the automount map file(s), but the defaults are probably fine. I specified -tcp for this mount, but that would not have to be explicitly set on some clients. All that would remain now would be setting the ownership, group and permissions on the file system on the server. Of course, the numerical user and group ids must be synchronized between the NFS server and its clients!